Help turn your bathroom into a retreat with the Cube Shower Mixer! 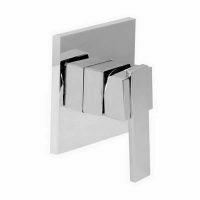 This gorgeous shower mixer boasts style, performance and affordability – three things you don’t often find from the one unit. The Cube Shower Mixer is stylish and ergonomic. 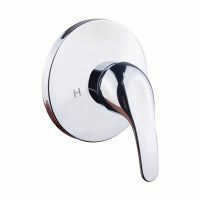 It features a classy chrome finish and an easy to grip handle. 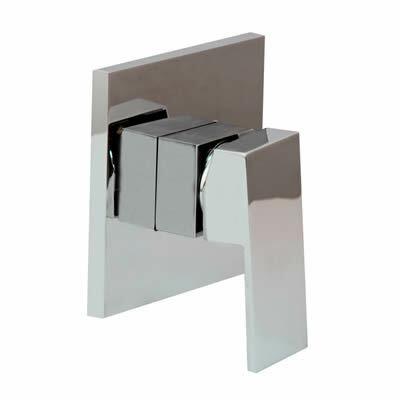 Furthermore, it is suitable for standard Australian bathrooms and has been designed for simple installation. The manufacturing has been thought-out just as well. It is made from solid brass construction and includes a ceramic disc mixer cartridge. The brass construction makes this a rugged, durable and reliable unit, while the ceramic disc mixer cartridge offers excellent control over water temperature and flow. Meanwhile, the internals, body and the chrome finish are all backed by manufacturer offered guarantees. So you can be rest assured that this is a reliable product that has been built to last. To help create your own bathing retreat, choose the Cube Shower Mixer. 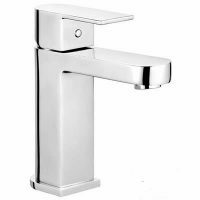 Purchase this stylish shower mixer at a very affordable price from Perth’s bathroom tapware specialists, Ross’s Discount Home Centre. Buy from us online today to avail of free deliver all across Perth Metro!